What are the routines of your pet? Does he/she make the rounds of the house? 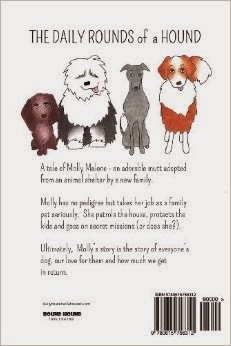 Ed Payne has an interesting story about Molly, his adopted dog, who apparently came with a big surprise... nine puppies were born not too long after Ed and his wife welcomed Molly to their home. They loved and cared for the pups and found each of them a new loving FURever home. 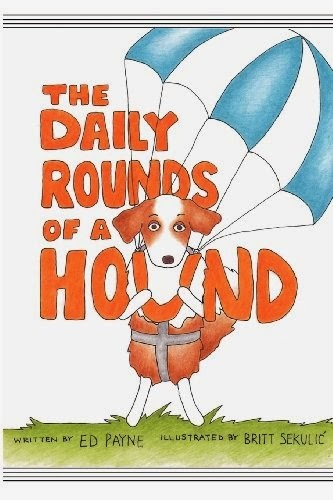 Author, Ed Payne, wrote The Daily Rounds of a Hound and will be a guest on PAWsitive Radio on January 28, 2014. Ed Payne is a veteran journalist with 30 years in the business, the last two decades at CNN. His stories appear on CNN.com and you'll often hear his voice on TV reports for the network and on hundreds of affiliates across the United States. Although Payne's journalistic endeavors have been read by millions of people around the world, "The Daily Rounds of a Hound" is not only his first book, but also his first children's book. www.dailyroundsofahound website and follow him on social media. Dog gives book signing tips to authors!